Empowering women to move optimally and mindfully through integrated breath work, strength training, and body awareness. semi-private sessions at Phit Pro Gym (819 Wilshire Blvd). NEW LOCATIONS FOR GROUP CLASSES! The Space, Monica & Andy, Hatch, and more. Click below or follow me on Instagram for the latest details! 90-minute session, I'll teach you how to improve your body awareness, pelvic floor, and core connection. Whether pregnant or postpartum, you'll build a strong functional core and body and learn how to apply these techniques to your daily life and exercise. After a foundations session, I'll design a customized strength training program that addresses your specific needs during pregnancy or motherhood. You'll improve posture, decrease pregnancy discomforts, prep for birth, and increase your core and total-body strength in this 4, 8, or 12-session program. I offer two types of group classes at various locations around Santa Monica: Pre + Post Natal Strength and CoreRESTORE. Join other Mamas as we move through challenging yet safe and effective workouts designed for women just like you. Click 'Book Now' for more details and reserve your spot! Calling all new Moms! Before you jump back into fitness, build your foundation in this special series dedicated to the newly postpartum woman. Rebuild your core, increase mobility, regain strength, improve posture, and connect with other new Moms. Learn more! I completely trust Meghan with my body, which has changed so much after having my first baby and I’m now pregnant with my second. After a couple sessions I’m hooked, because I realized how much I didn’t know about my postnatal body and how important it is to workout in a way that rebuilds my body today yet still supports the muscles that I’ll need to rely upon during my next labor. I already know that my next birth (and recovery) is going to improve because of the work I’m doing with Meghan. I feel stronger and much happier knowing that I’m not just working out, but I’m working out in a way that’s right for my ever-changing body. Meghan is an exceptional prenatal/postpartum trainer. She's incredibly professional, knowledgeable, warm, funny and encouraging. Meghan truly listens and observes and tailors the workouts to whatever is needed. I came to her with a host of postpartum issues and she built a special program with my physical therapist to get me back to my pilates and spin classes. 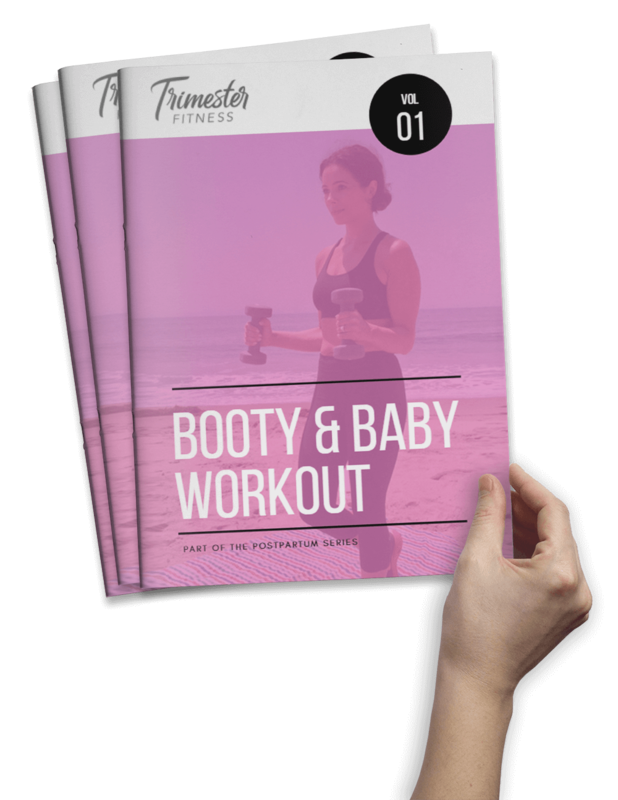 I don't know what I would have done without her support and training those first few months… She helped me get my body back and I cannot recommend her enough to any pregnant ladies or new moms! Meghan has been an amazing trainer through my second pregnancy! After meeting with her, I discussed my concerns/goals and she has incorporated everything I wanted and given sound advice (ex: I struggled with a ton of lower back pain, during my 1st pregnancy and after, and her workouts and advice have eliminated all my back pain!). This pregnancy, I feel so much stronger and healthier! Thank you Meghan for giving me an added layer of strength and stamina this pregnancy. You're the best! Meghan's motivation and training has made a world of difference for me after having my baby! I tried other workout mommy and me groups before her, and I have been especially impressed by Meghan's focus on rebuilding a woman's body with workouts that are challenging, yet safe and fun for both mommy and baby! Meghan not only helps you build strength, but she also helps you rebuild your body in all the ways you need to after carrying a baby for 9 months and then delivering them. As a personal trainer, it wasn't until my own pregnancy that I realized there were few options in the LA area for strength training when it came to pre + post natal fitness. That's why I built TFB; for women like us! Fitness tips, insights, recipes, and more! Interested in learning more about TFB private training, pricing, availability or small-group classes? Send me a message and let’s discuss!